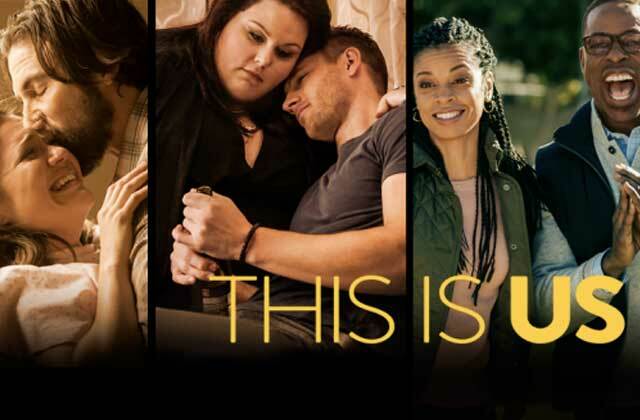 I was late to the game when it came to this TV show, This Is Us. My friend finally convinced Dave and I to give it a go and now I am the one suggesting it to all my friends. It is the most beautiful TV show I have seen in some time. Although you should definitely be prepared to shed some tears so have your tissue box and chocolates ready. The show is about a family of triplets and it jumps through time from their childhood to adulthood and everywhere in between. We just finished the second season and I can hardly wait for the third to come out, whenever it does. I can't recommend this more to everyone, if you need a show to start, this one should be it! As I mentioned last month I am really enjoying the Forever35 podcast and thinking about self-care. I have always loved taking baths but sometimes it feels more like a chore than something relaxing. Now that I am in full swing of training for my next half marathon (June 17) I have made sure I take a weekly bath, usually right after my run. This doesn't only help me decompress from the day and relax but more importantly it helps my muscles recover from the distances I am running. If I take a bath after a run I feel 100 times better the next day and my recovery is so much quicker than if I just shower and stretch. I use Epsom salts and bubble bath so that it can be both relaxing and working on my sore muscles. Epsom salts do wonders for sore muscles and the Magnesium in it really helps in breaking down all the lactic acid. I have also been incorporating a weekly face mask into my routine. This is something I usually do right when I get out of the bath and have washed my face of makeup and build up from the day. I was working my way through a pile of sheet masks I had got over the holidays and when I ran out I didn't know what to do! I didn't want to keep buying them, as that can be quite pricey but also wasteful so I decided to do some research and purchase a cream mask. 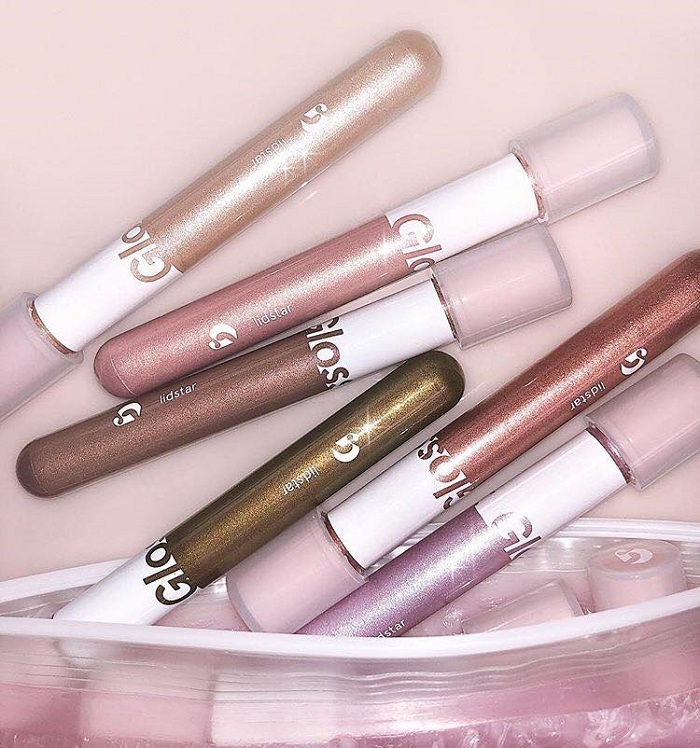 As you have read from previous posts I am loving all things Glossier at the moment. Their products are great and everything I have bought from the company is replacing my old cosmetics, one at a time. I recently ordered this mask online and it was delivered last week. It was perfect to add to my weekly Sunday self-care routine so after a bath and I put it on and baked some cookies while it soaked into my skin. At first it did tingle a bit but that quickly went away. It made my face feel smooth and bright, I'm already looking forward to putting it on next weekend. This is my newest addition to the podcast lineup I listen to. One of my favourite TV shows (despite Dave's disapproval) is Made in Chelsea, a reality show about young, wealthy Londoners, living their lives. I know it's trash but it's my one trashy TV show that I watch and it reminds me of living with my cousins in London. I have been watching it every season (15 total!) and don't ever plan on stopping. That's why I was so excited when I discovered two of the people on the show: Jamie Lang and Francis Boule had a podcast. It is a hilarious podcast where they interview people and talk about anything and everything. I love their banter and find myself driving to work literally laughing out loud wondering what the people driving by me think. If you are a fan of the show I would highly recommend it and even if you aren't and want a good laugh, give it a listen! After finishing my last read about Galliano and McQueen, I decided I wanted to continue my reading into the fashion industry. My friend Kate gave me this book for my birthday so I thought it was fitting to start it next. I started it last week and cannot put it down! The way the author Alexandra Shulman writes her diary is so interesting and keeps the reader wanting more. I like how she writes short pieces for each day and shows us an insider view of how British Vogue works. As the editor she has so many things to plan, from upcoming issues to events and more, as well as living her own life with her family. It is such an interesting look into someones life that you probably will never get to know in real life. She is brutally honest about things and hilarious about others and I can't wait to see where it goes. If you have any interest in the fashion industry or journalism I would highly recommend this read! I have not written a favourite things post in months now! I think my last one was from November. I had so much content to share with all of you from my travels in Thailand, then Portland that I just didn't think about my monthly favourite things! Well it's back! As I have changed my sleep and self care routine a bit I feel like I should share the things that are helping me through that. It has been over two months since the tsunami evacuation in Ucluelet and Tofino but it really affected me, more than I thought it would. I found falling asleep to be very difficult after that happened and I would lie awake for hours thinking about another once coming. (Ridiculous I know but hey, not everyone is perfect.) So I decided to make some changes, especially before bed. Below are my things in my life that I am loving at the moment and why. This is my ultimate favourite podcast of the moment. I discovered it through a blog I follow and downloaded it all immediately and could not get enough. Now that I'm all caught up I find myself waiting every week for the newest one to come out! Forever35 is a podcast about all things to do with self care. The hosts are two friends who are obsessed with skin care and share their favourite cosmetics and tips on the podcast. Each week they interview someone new and discuss their self care routines. These can be anywhere from sleep, to playing the piano in the morning, to having a bath every day. I love hearing how people look after themselves and I find myself thinking about my own personal self care from it more. I also love their tips and discussions on their favourite products. I have never been much of a makeup person, I usually do the same thing every day and it is very simple. But as I get older and more aware of looking after my skin and the importance of natural products I reassess my cosmetic bag and try and improve it. If you are at all into cosmetics, skincare or self-care I highly recommend this podcast! This has to be my one of my favourite books I have read in a long time. After Thailand I decided I really needed to get back into reading again. I really enjoyed my book I was reading while on holiday, The Alice Network, which I shared with you in a previous "Favourites" post. This book, however, is very different from the last. It's about the amazing and genius fashion designers of the 1990's, specificallyAlexander McQueen and John Galliano. I studied Fashion Design before Art History and anything to do with fashion and Alexander McQueen I have to read. I will forever remember the day he passed away as a part of the fashion world dying. No one will ever amount to his genius and it is so sad he was taken away at such a young age. This book delves into how these two designers worked their way up to the top of the fashion world and how it was both the best and worst things to happen to them. If you are at all interested in the fashion world I would highly recommend reading this beautiful book. I am always on the constant hunt for the perfect basics, specifically a white tee. I always try them on and they never seem right. They are either too tight, too see-through or too long. I don't love v-necks either so when I saw this white crewneck tee at Lululemon you know I got very excited. The material is so light and soft it doesn't cling to your body. It looks great as a tee to wear to a yoga class or even worn with jeans. I definitely plan to wear it tucked into skirts this summer too. I already want to buy it in other colours because I love it so much. If you are on the search for the perfect tee I would definitely give this one a go, I have been wearing mine non-stop since I picked it up. Now that Dave and I have finished the full series of Parks & Rec we needed to fill a tv void with something funny. I had read about this TV show on a blog I follow and the women I work with had also recommended it. I wasn't sure to begin with but after the first couple episodes Dave and I binged the whole first season in a week! Now we're onto the second season and we love it! 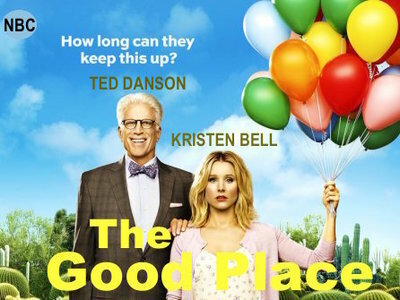 It's a great show, a funny and original concept and quick 20 minute episodes. I guarantee you'll enjoy it if you watch it, so give it a try next time you're looking for something funny. The first season is available on Netflix. So I don't wear much makeup on a day to day basis. If I'm going out in the evening I'll do a quick flick of liquid liner and a lipstick colour and that will be enough for me. Maybe it's because I don't really know how to do some makeup, like foundation, contouring etc. However, I like having a simpler makeup routine and look. 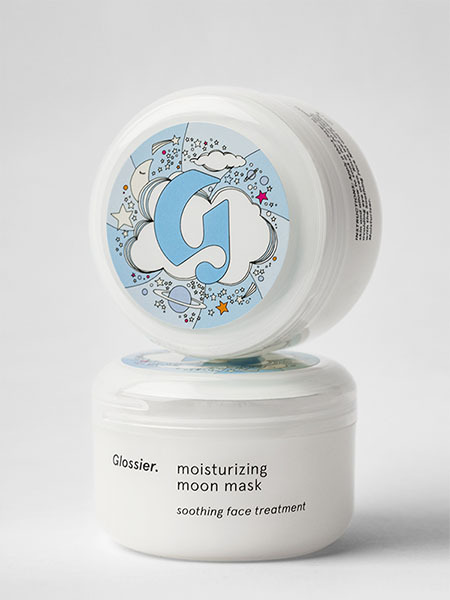 Since Glossier launched I have been interested in their cosmetics. They are streamlined and simple, with very few products to choose from online. Let's just say Sephora is the scariest place for me to go. So when I saw what Glossier was doing I was a little more interested. Their products are cruelty-free and most of them are also vegan. The style of the products are minimal and I really like that. I recently ordered the Lidstar Duo, one for me and one for a girlfriend for her birthday and they are exactly what I wanted. A simple eyeshadow that is easy to apply and has a bit of colour to them. Something simple for me to put on in the morning before work with a swipe of mascara and I can be out the door. They come in 6 colours and I feel like I'll be buying another one to complement the colour I already bought soon enough! November is almost over, so it's about time I share my favourites of the month! The beginning of November was the coldest part of the month and I felt it not only temperature wise but also on my skin. I feel like this time of year is the best time to relax, rejuvenate and look after yourself after a busy summer and fall before an even busier holiday season. Don't get me wrong, I am still busy, we leave on holiday in almost 2 weeks! I am madly wrapping Christmas parcels up to send to friends across Canada, finishing writing Christmas cards and still finding time to enjoy this time of year too! I have been curling up in my Aran sweater and taking the time to look after my skin with face masks and facial spray. As it is such a busy time of year, sleep seems to come less easy to me so I am consciously trying to relax before bed with a roll on oil treatment and reading. Read on below to see my favourites of November and why I'm loving them so much! I am not a good sleeper, lots of people know this about me. My boyfriend thinks I'm a little crazy about this and my rituals to try and sleep better, but it works for me so I don't care. I sleep with crystals under my pillow and next to bed so when I came upon this roll on and relax oil made by Harlow I couldn't resist buying it. I purchased it at The Den in Ucluelet, a artist's space and small boutique that carries local goods, a definite spot to visit if you're ever in Ucluelet. (More to come on the blog about it soon!) This roll on is made with french lavender, sweet orange and bergamot, the perfect combination to help you relax before going to bed. I roll it on my wrists, temples and neck and the smell isn't over powering, yet it helps calm you down before you put your head down. I would definitely recommend it for anyone who has problems sleeping. As I mentioned in a previous post about my goals for the month, reading was one of them. I haven't been reading as much as I wanted to but I have been trying more and more. I am really enjoying this book about two women from two World Wars and how their lives collide. The two women embark on an adventure, both willingly and unwillingly to find a long lost cousin after World War II. The time lapses between 1915 and 1947 are both so mesmerizing and engaging it really is hard to put down. I am counting the days till my holiday so I have all the time in the world to read it and see what happens. I would definitely recommend this book to anyone on the hunt for a new read. Last Christmas Dave's mom had her sister knit an Aran sweater for me. I cannot begin to understand how much work would go into such a beautiful sweater. I was beside myself when I received it and wore it for most of the rest of our holiday in Ireland and London. 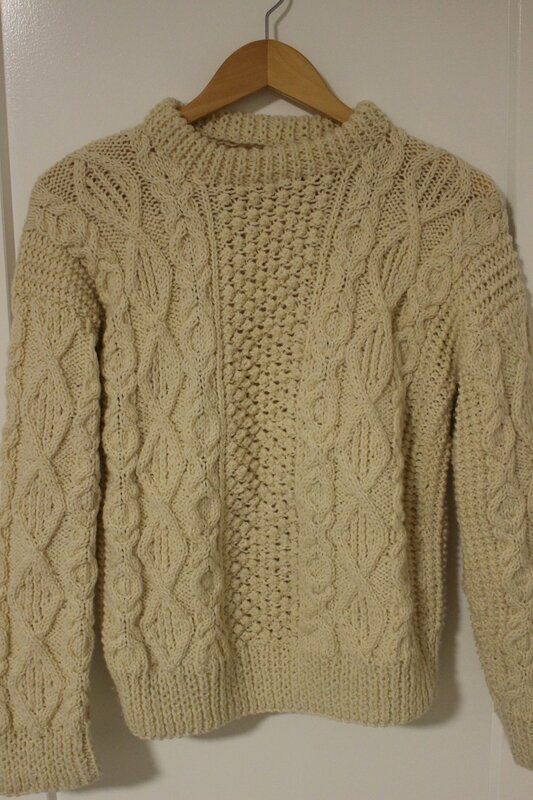 Living in Tofino, life is wet and often cold so I have been reaching for this sweater more and more, especially in November. It is the coziest and easily the warmest sweater I own and feel so lucky to have it. I know it will be a piece I have forever because of the quality of it. I love wearing it with a pair of dark denim and booties for a more dressed up but cozy look, however, I love wearing it with grubby boots and thick jeans for a walk to the beach to watch the waves crashing. My best friend Dani in Toronto gave me this spray for my birthday this year (in January) and I have been using it ever since. To be completely honest when I first got it I did not quite understand what it was for or when to use it. However, now that we are in full blown winter (west coast winter) I realize how much I love using it. Made with aloe, herbs and rosewater, it revitalizes your skin with a dewy radiance and it boosts moisture and glow. It can be used as a setting spray for that dewy look once you've finished your makeup or it can revive dehydrated skin, which I use it for. I spray it on my face after I've taken my makeup off instead of moisturizer or even on dirty hair to give it a nice smell. This spray is definitely a must have! I love face masks, I mean who doesn't? I hadn't bought one in ages for myself, it had probably been months since I did one when I came upon this pack in Avon. I was so excited to try it, the first day I got it I opened it up and tested my first face mask: Detox Mask. This limited edition deluxe sampler set includes six single-use targeted masks and comes with a boosting serum. I've been using one a week since I first got it and have loved every mask I've tried so far. The perfect thing to look forward to on your weekend, especially if it's an indoor weekend staying cozy and watching movies. I would definitely suggest picking this up, if not for yourself, for a great gift! I'm a few years behind on discovering this Instagram account by Chris Rellas: @copylab. This account uses art historical images and meshes them with trending designer accessories or clothing. As you all probably know I have a full on love affair with Renaissance and Impressionistic art, as well as fashion so when I stumbled upon this account I couldn't have been more excited. It combines my two favourite things and I often find myself sending the Instagrams to my fellow art historian nerds to enjoy as well. The image above is one of my favourite from the account. It shows Botticelli's "Pallade e il centauro," with Aspes Official military inspired wool coat. The artist did such a wonderful job of placing the model right under the women's hand, it's as if they were actually meant to be placed together, even if shows the Renaissance meeting modern day fashion. Check it out if you haven't and you will be pleasantly surprised. I know I am turning 30 in a few months. However, I cannot get enough of Riverdale. I was an avid reader of the Archie comics when I was growing up so when I heard of this show on Netftlix I couldn't resist. The second season just started up a few weeks ago and I look forward to Thursday's each week just so I can watch the new episode. It has definitely become the new Pretty Little Liars, especially with all the murders on the new season. We are all trying to figure out who the killer could be, leaving us in suspense each week. Although the fashion isn't as good as it was in Gossip Girl, I can't help but love the high school drama. If you haven't watched it yet, I highly recommend it, even if you weren't a big Archie fan. Every time I run out of shampoo and conditioner I do some research on what to buy next. My hair is very important to me so I can't use just any old shampoo and conditioner. I get it dyed once every 3-4 months and use heat on it almost every day so I need something moisturizing for it. I read about this hair line in the Globe and Mail Style section a few months back and decided I should give it a try. I was pleasantly surprised by it, since it wasn't the most expensive hair care I have purchased before. The shampoo gently cleanses hair while adding body and enhances natural waves for a tousled look. The conditioner moisturizes the hair without leaving it feeling greasy. If you want a second day hair look, this is the product for you. It leaves hair voluminous and with touchable texture. I don't document my at home manicures enough for you to know how obsessed with nail polish I am. I recently cut my collection in half, getting rid of any colours that were doubles, passing them onto my cousins or throwing them out in the case of the old and overused ones. I am always searching for a new colour for the season and Essie is my go to brand with so many fun colours to choose from. I am currently pining after their Fall collection, which I still haven't got my hands on but I will! This topcoat is one of my recent Essie purchases after reading about how quickly it dried while leaving your nails shiny like a Gel manicure. It really is a miracle topcoat. I am not the most patient person at waiting for my nails to dry, often finding myself fixing up little dents or mess ups. So if you love painting your nails as much as me, I suggest picking this up to make it easier on yourself. September is almost over, can you believe it? With a few days to spare I thought I would share some of my favourite things this month. I find myself curling up to watch more tv these days as the nights get darker earlier and the weather, although mostly sunny this month, is getting a lot colder! I have been making soups and baking lots and I'm really enjoying getting back into a routine after a summer filled with visitors, weddings and fun! Big Little Lies: My friend Abbey suggested I watch this and I had it downloaded for months before actually sitting down to watch it. I was blown away, it was probably my favourite show I have watched in a long time. It was so beautifully done that I felt like I was watching an extra long movie that I never wanted to end. The tv show was a mini-series of seven episodes, an hour each, based on the novel of the same name by Liane Moriarty. Not only is the cast star studded, but it's a show that grasps you from the very first episode and after each episode you are left wanting more. If you haven't already watched it you better start now! A Piece of Work: This podcast was suggested to me by a fellow art history nerd that I met through the magazine I write for as well as UVic, Maria. I could not be more pleased with the suggestion! I have a long drive to and from work and I often find myself bored and annoyed with the drivers on the road that I decided to turn to podcasts to make the drive better. I studied Art History for both my Undergrad and Masters degrees and I can never get enough of museums and galleries (just ask anyone that travels with me.) So this podcast was great for me! Each episode, Abbi Jacobson takes you through MoMA to look at one particular piece of art. The episodes are short, which is great and you don't lose interest. She is both intellectual and funny and makes me miss standing in an art gallery looking at a piece even more. If you are at all interested in art, or not, you should give this a listen! Capricorn Pendant: My cousins Anna and Louise bought this necklace for me for my 29th birthday. I have always been really close to my cousins and after living with Anna for over 3 years she really got to know my obsession with horoscopes. I am a typical Capricorn and whenever there is a horoscope to read, I read it (even if it sounds very unlikely to come true.) I always find my jewelry style changes throughout the seasons but lately I have found myself reaching for a dainty necklace (usually given to me by Dave) and simple rings (also from Dave or my sister.) I love wearing this simple gold pendant layered with a heart necklace from Little Gold in Victoria Dave gave me for Valentine's day. The layering necklace trend is one I just can't get enough of and although I used to always wear silver I find I love mixing it with gold or even wearing only gold lately. Double Chocolate Chip Banana Loaf: I love banana bread, really who doesn't? I also love bananas but hate them when they start getting any brown spots on them (I know I'm a little picky.) I usually buy a bunch of bananas a week since they are the perfect snack, especially before a workout but I hate that by the end of the week there's always at least one that is far too ripe for me. I throw that ripe banana in the freezer, then slowly over time I realize I have far too many bananas in the freezer and what perfect way to use them up then in banana bread. However, no banana bread compares to this recipe by food blogger: What's Gaby Cooking. If you haven't checked her website out, you have to! Each week she puts out a meal plan that I always find a recipe to try from and inspires me to do my own meal plan for the week. This recipe is her Double Chocolate Chip Banana Loaf recipe, which uses four ripe bananas. Next time you have too many bananas in the freezer definitely try it out, it is my absolute favourite banana loaf recipe and I can't stop making it! Origins VitaZing SPF 15 Energy-Boosting Moisturizer: I have never been a fan of wearing a lot of face makeup. I have a pretty simple routine, face cream, then blush and bronzer, eye shadow, liner and mascara. I don't usually stray too far from that routine unless I am going out or have an occasion in which case I might put liquid liner on and lipstick but not much else. That's why I fell in love with this face cream the second I tried it. I had a free mini facial at the Origins counter in at Hudson's Bay a few years ago and they used this tinted moisturizer on me at the end of the treatment and although I wasn't wearing any makeup it looked like I was. I know that sounds a little bogus but trust me. Once you apply it, the cream changes colour to match your skin tone, which in turn gives you an even finish and the appearance of face makeup and a bit of a tan (which I can always use.) I couldn't recommend this moisturizer or brand more. I have used Origins face masks and other face creams before (from samples) and everything is organic and great for all skin types. Definitely try it out next time you're at Hudson's Bay or Sephora. I've decided to start a new segment on the blog talking about my favourite things I'm currently obsessed with each month. As the summer is coming to a close, I seem to be reaching for those last summer nail polish shades to paint my toes or my salt spray for the perfect messy curl. This summer has been a whole new adventure for me. Earlier this year Dave and I moved to the West Coast. I was a little nervous at first but as we've settled into life on the wild West Coast I feel a lot more settled and excited to see what the next chapter has in store for us. We've had visitors from all over this summer and I've really enjoyed showing friends and family my favourite places in both Ucluelet and Tofino. Our last visitors for summer are leaving at the end of this week and I'm starting to think about projects I want to get started on in the Fall to carry me through the wet winter on the coast. Italian Vogue: My friend Kate and I met up in Vancouver for a friend's wedding at the end of July and then her and her partner managed to make it up to Ucluelet to visit. Every time she comes back from Europe she always brings me a Vogue. I have collected Vogues for a long while now, so much so that I had to choose my favourites and donate the rest since I was running out of shelf space! As summer has been so busy I have to remind myself to sit down and take it easy once and awhile and what better way to do so then with a new Vogue. 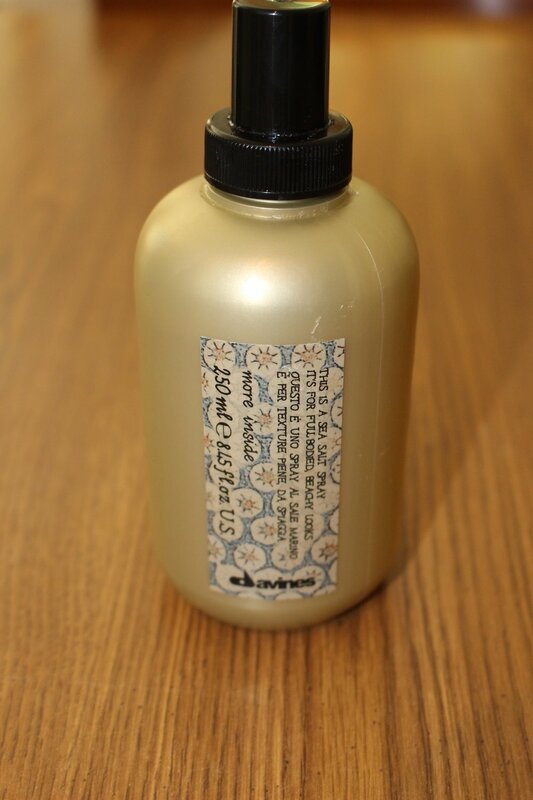 Davines Sea Salt Spray: In July I recently cut quite a few inches off of my hair and I absolutely love it. It does get annoying when working out and running but I manage to tie it back into a short little pony. When I was at the hair salon I asked my stylist how she manages to get the perfect messy curl every time she cuts my hair. Other then using a straightener (which I cannot use) to create the perfect wave, she uses this salt spray in my hair before tousling the curls up. Not only does it smell like a dreamy, tropical vacation it holds my curls without getting stiff. I can't leave the house without a couple of sprays! 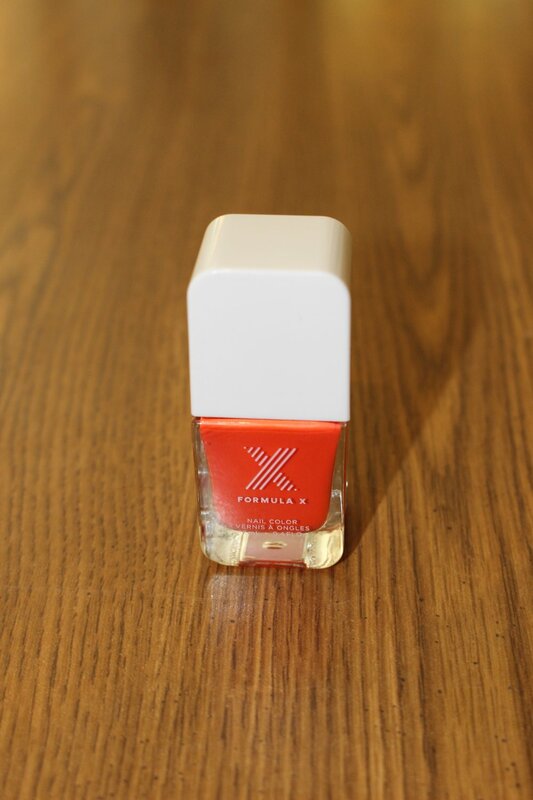 Formula X Nail Polish: My best friend got married this past May in the most beautiful wedding. As bridesmaids we wore these unique floral print dresses in corals, pinks and oranges. My best friend put together the sweetest thank you present for each of her bridesmaids and included this fun orange-coral colour. Every time I wear it, it reminds me of her special day and those gorgeous bridesmaid dresses. It's the perfect colour for the end of summer and I've been painting my toes and fingers on repeat with it. Formula X is such a great nail polish brand I only recently started purchasing and it lasts much longer than other nail polishes I've used in the past. Danielle Bartlett Ursa Major Zip: As you have probably previously seen on my blog my best friend in Toronto has started her own small business of hand dyed items from pouches to totes and even chokers. I already have one bright pink pouch that I carry in my everyday purse, a pink dyed tote that I used all summer and most recently I purchased one of her zips from her new collection. The dark colour really has got me excited for fall after a great summer of sun and bright colours. This pouch is the perfect size for a cosmetic bag, travel bag or clutch. The second I received it in the mail I emptied my cosmetic bag out and put everything in the zip right away! I can't get over how much I love it and show it to everyone that comes over. Check out her website to see more of what she's doing: https://danielle-bartlett.squarespace.com I love that I can support a friend through her creative endeavours. Check out what my favourite things are come September!